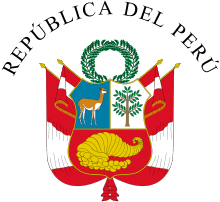 The Central Reserve Bank of Peru (Spanish: Banco Central de Reserva del Perú) is the Peruvian central bank. It mints and issues metal and paper nuevos soles currency. Its branch in Arequipa was established in 1871, and it served the city by issuing money as well as maintaining a good reputation for savings accounts in Southern Peru. It is the equivalent of the Federal Reserve of the United States or the European Central Bank in Europe. The Constitution states that the purpose of the Central Reserve Bank is to preserve monetary stability. The Central Reserve Bank's target annual inflation is 2.0 percent, with a tolerance of one percentage point upward and downward; its policies are aimed at achieving that goal. The Constitution also assigns the following functions to the Central Reserve Bank: regulating currency and credit of the financial system, administering the international reserves in its care, issuing banknotes and coins, reporting regularly to the country on national finances, and managing the profitability of funds. ↑ "Central Reserve Bank of Peru". Retrieved 2 September 2012. This article is issued from Wikipedia - version of the 7/31/2015. The text is available under the Creative Commons Attribution/Share Alike but additional terms may apply for the media files.